There are so many choices to make when you’re designing a kitchen. 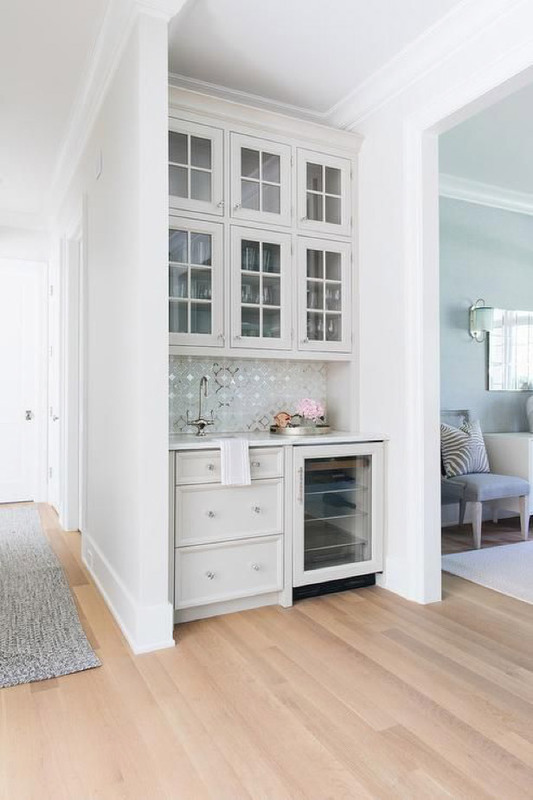 You start with the layout and move along to the cabinets, decide on appliances, countertops, hardware, plumbing fixtures, lighting and of course – backsplash. The choices can be overwhelming but for us, that’s our favourite part! Working with so many unique products and finishes for kitchens is what we love and one finish we can’t get enough of right now is metallic! Today we want to inspire you to think outside the box and maybe consider stepping outside of your comfort zone for your kitchen design or renovation. 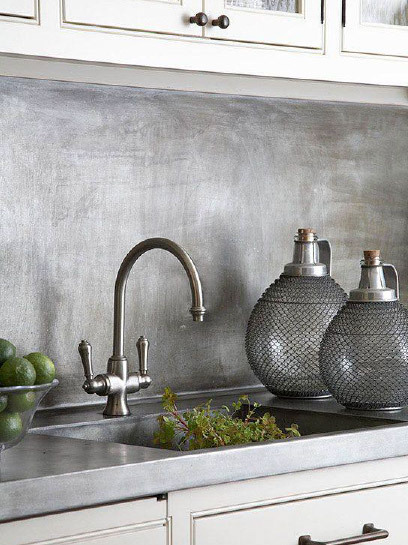 From stainless steel panels, to shimmery metallic inspired tiles, metal panels or – metal grout (!!) 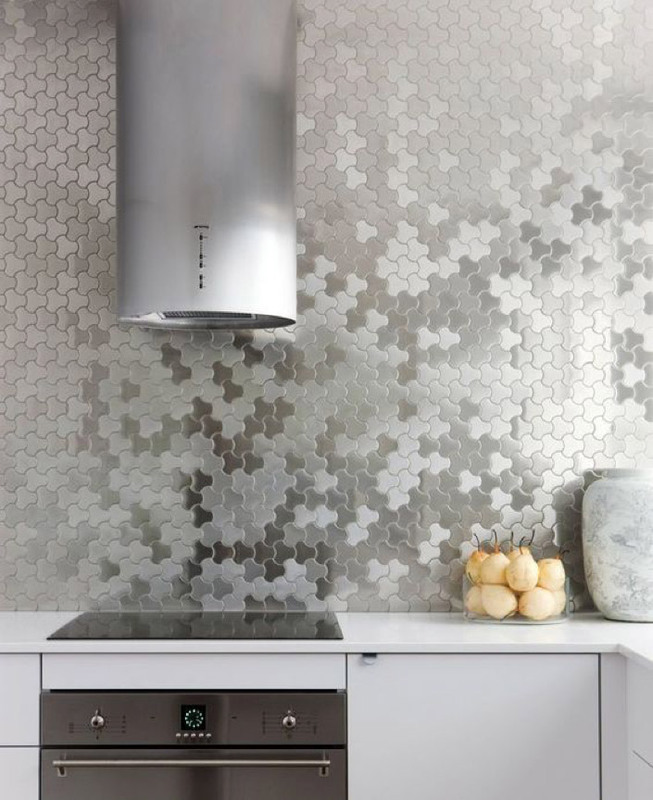 there are lots of different options available for bringing a bit of metallic shine to your kitchen backsplash. 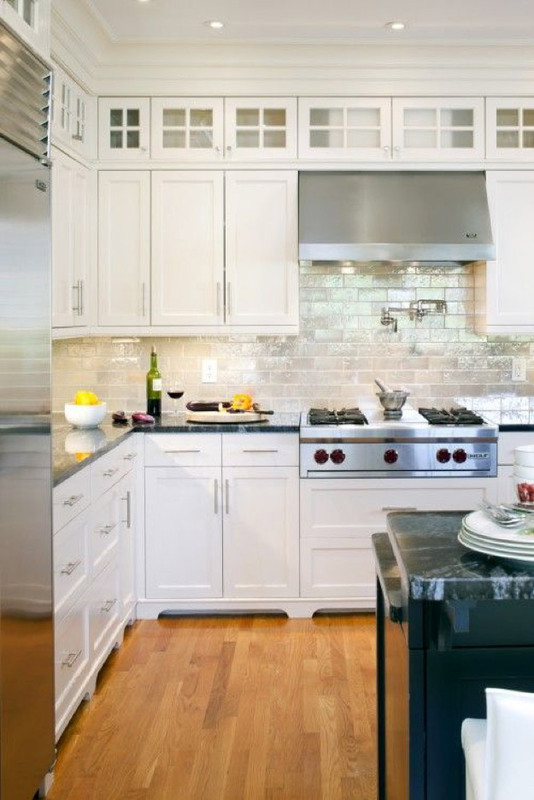 These kitchens show how beautiful and diverse a metallic backsplash can be. What do you think of this bold choice? 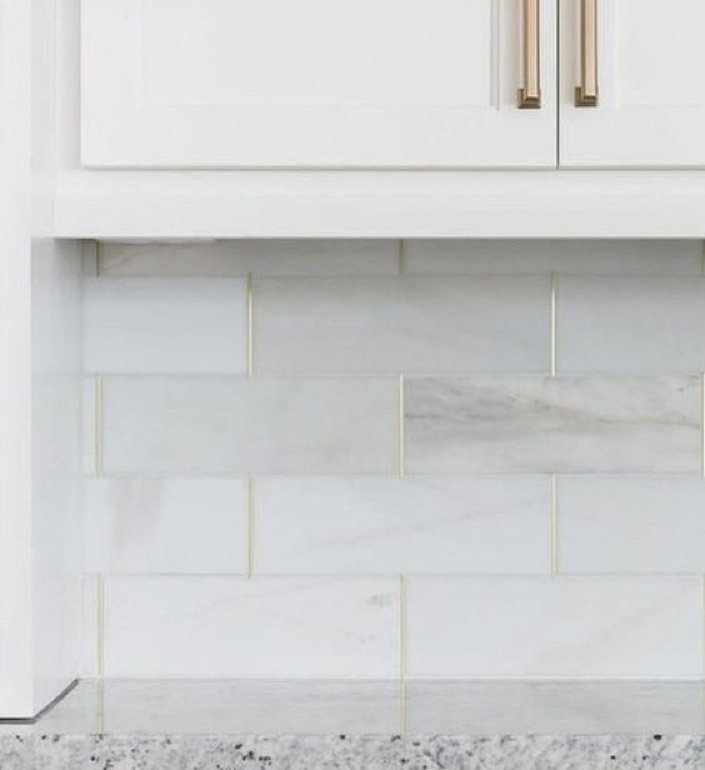 Would you opt for a metallic finish for your backsplash? And don’t forget – if you’re looking to renovate your existing kitchen or build a new one, we’d love to give you a hand! 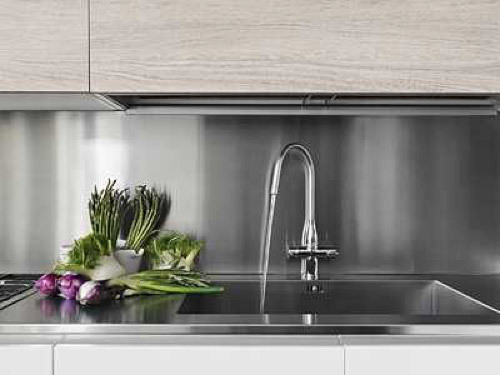 Get in touch with one of our kitchen design experts today!